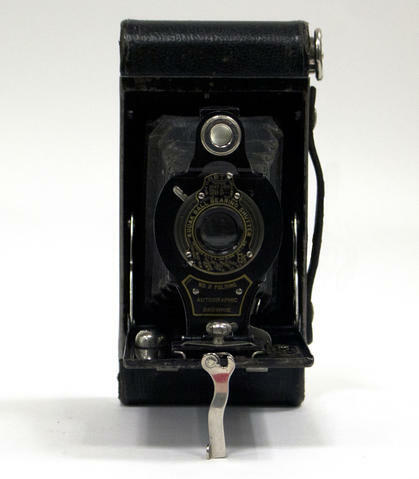 Item is a self-erecting folding camera for 5.7 x 8.25 cm (2 1/2" x 3 1/4") exposures with 120 autographic roll film. The Autogrpahic feature allowed notes to be made on the film by scratching them into the film paper with a special stylus. A window opened in the back of the camera to expose the backing paper. Lens is a Bausch and Lomb with Kodak ball bearing shutter.